Real Madrid in the battle to sign Eintracht Frankfurt centre-forward Luka Jovic and set to battle with Chelsea and Liverpool for the player. Los Blancos need a new prolific striker as Karim Benzema and Mariano Diaz are in a bad form and their replacement is necessary. Serbia international is the best choice in this situation as he has a fantastic season and paid big clubs attention. The Argentine manager will do everything to add him during the summer transfer window. Blues and Reds also keen to sign him and there will be a real battle for the footballer. His price could increase and become much more. 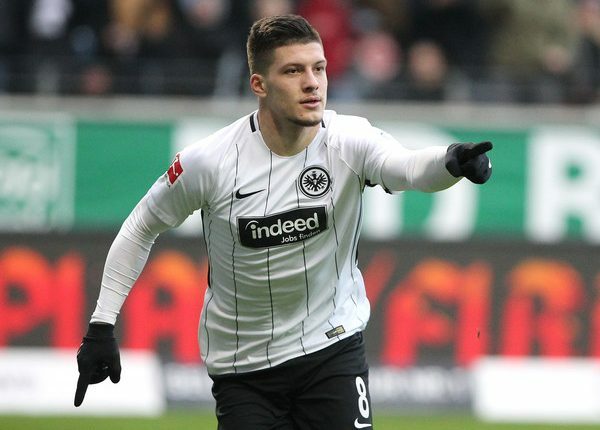 Jovic joined the Eagles from Benfica in 2017 with a two season-long loan deal. He is one of the best centre-forwards in Bundesliga and unchanged figure for the club. In this campaign, Luka already played 27 matches, scored 19 goals and made 4 assists in all tournament. This is an impressive result and he can do much more with high-class teammates. The 21-year-old striker will return to Portugal this summer and will make a decision about his future. He is a regular member of the national team and also played in the 2018 World Cup which is already a big success for the attacker. Serbian centre-forward’s release clause is around €40m which is a relevant price for such a great footballer. La Liga giants ready to pay big money for the player during this summer. Los Blancos reached the Champions League playoff and they have to face Ajax this week.